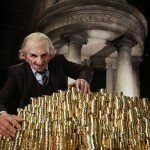 Gringotts Expansion Coming to Warner Bros Studio Tour London! 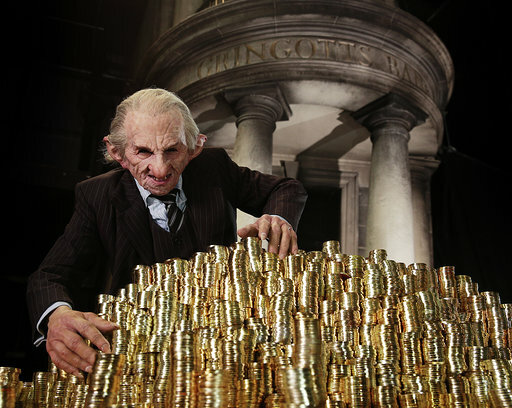 Warner Bros Studio Tour London – The Making of Harry Potter have been teasing at a new reveal on social media for the past week, and just revealed that the newest addition is a permanent Gringotts Wizarding Bank expansion! Fans had been busy plotting away: could it be a Chamber of Secrets experience? An escape room? A ride? The reveal only came after a set of riddles, of course, and the answers come together to reveal ‘Key’ ‘Please’ (a subtle giveaway), ‘April’ and ‘Enter’. Now, Warner Bros Studio Tour London have officially confirmed that guests will be able to enter the set of Gringotts Wizarding Bank from April 6th 2019! The 16,500sqft permanent expansion is the tour’s biggest addition to date, and will offer visitors the chance to walk into the Lestrange vault, see a gallery of goblins, and more. Universal Orlando’s Wizarding World of Harry Potter give a similar experience whilst walking through the waiting line for Harry Potter and the Escape From Gringotts, but this new expansion at Warner Bros Studio Tour London – The Making of Harry Potter will immerse visitors like never before in the vast set, designed and built by many of the original crew members who worked on Harry Potter, including Production Designer Stuart Craig, Construction Manager Paul Hayes and Head Propmaker Pierre Bohanna. “Lined by towering marble pillars, the grand banking hall will be decorated with three magnificent crystal chandeliers and finished with real brass leaf. 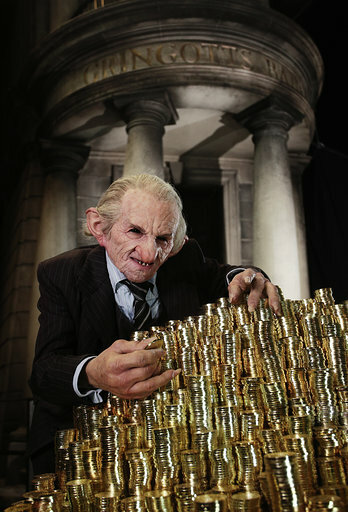 Inkwells, quills, ledgers and piles of Galleons, Sickles and Knuts will complete the goblin tellers’ desks as seen on screen. 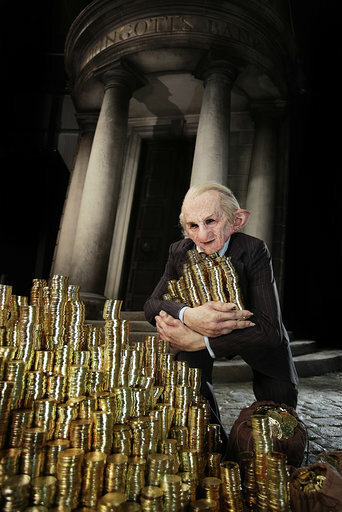 The Prop-making Department, led by Pierre Bohanna, created over 210,000 coins for the final two films alone. The tour will also unveil an all-new 17,000 sqft lobby and café on April 6th, seating up to 500 people to enjoy food and drink inspired by the Wizarding World. Entrance to Gringotts will be included in general admission – get your hands on tickets at the official Warner Bros Studio Tour website!